This morning the Bequia Youth Sailors headed True North …. to Bequia Marina where the Volvo Open 70 ‘True North’ was moored up, ready for their long awaited sail aboard this amazing racing yacht. The Volvo Open 70, True North, arrived in Bequia today, ready to take out the Bequia Youth Sailors and a number of other Bequia groups and dignitaries on sailing trips tomorrow. 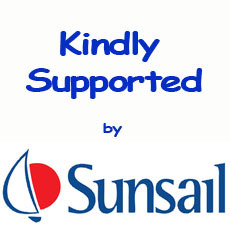 Budget Marine who have marine outlets across the Caribbean, have donated an out board engine to the Bequia Youth Sailors, for use on the support dinghy.